I seem to be on a roll with birthday cards this week! I have another one for you today, this one is based on this week's MFTWSC sketch. I love the curvy shape of this sketch. 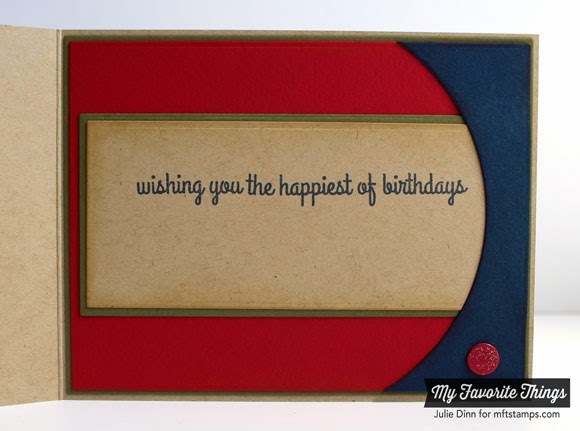 I stamped the Wild Cherry card stock with the Happy Birthday Background stamp. It's a little hard to see, but trust me, it's there. 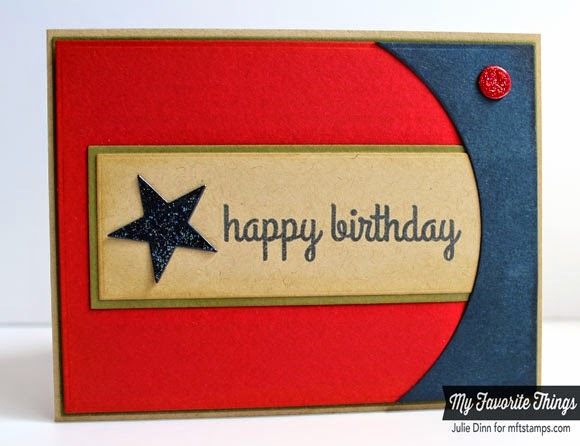 I used the Fishtail Flags STAX and the Fishtail Flags Layers STAX to die-cut the card stock for the sentiment. The sentiment is from the Celebrate Big stamp set. I stamped the sentiment in Nightshift Blue Hybrid Ink. 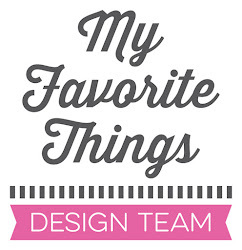 The curved pieces were die-cut with a piece from the Blueprints 16 Die-namics. This set of dies is full of so many fun shapes! I added a touch of sparkle to the circle and star accents. thats a lovely card you made. I think it's the first time I've seen a sketch used that literally. I really like that you used the same design on the inside of the card. And somehow the color combination screams vintage boy at me. The old wooden toys had that red and blue I think.